"Dollboy is the pseudonym of British musician Oliver Cherer and on the frivolously titled Casual Nudism he has drawn together a merry band of collaborators to help him on his quest for the sublime. Playfully and wilfully disregarding trends and fashionable stylistic movements, Cherer has constructed an album of childish innocence while nudging it's way into the instrumental folk sphere. Perhaps it's no surprise that Cherer has been associated with Birmingham's nu-folk superstars Tunng, but it would be wrong to so quickly catagorise Casual Nudism. Through the twinkle of glockenspiel, kalimba and xylophone we can hear something possibly with more connection to Benjamin Britten's 'Peter and the Wolf' than to Pentangle; this is an album with huge scope and a genuine narrative feel. Throughout the duration you feel that you could almost be walking through a dense forest, discovering life with every carefully measured movement; the best example of this being 'Odd Man Out' which takes an almost Steve Reich-sounding repeating clarinet as it's backbone and builds up a sense of mystery and awe around it. Casual Nudism is an album brimming with a sparkle for life, a sense of amazement and a deep understanding of the reasons why we get excited about music in the first place, and should be handled delicately as a result. 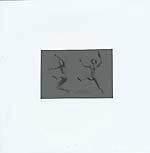 Fittingly it is the latest release for Arable records, who have developed quite a catalogue of naïve yet strangely mysterious organic music. 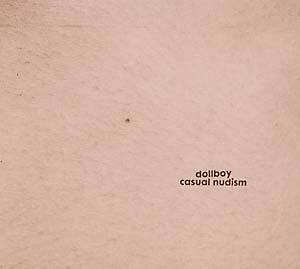 Dollboy's Casual Nudism is refined and mature, yet you won't find a more whimsical collection of lullabies this year."